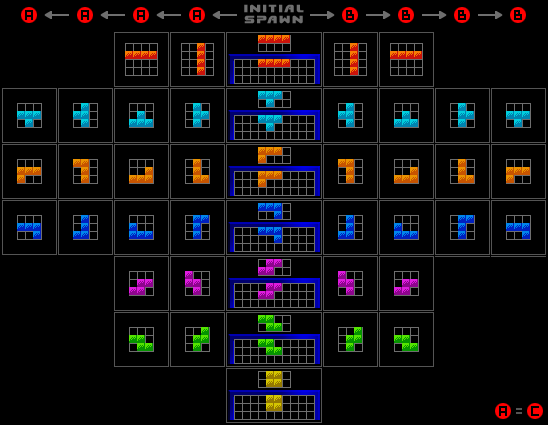 Description 7*Ris is a Tetris like game and masterpiece of Tetris. Instructions Place falling Pieces neatly and erase a stack at a time. 7 Comment(s) A47A47 Edited 5 months ago If you refer to "hold" and "fast drop". I think "hold" is not proper because "hold" makes Tetris too easy. You can press Y button to open option vision, then you can set ↓ HARD DROP off, and so you can use "fastdrop" in your gameplay. IAmRalsei Forum Leader Hidden Achievements First Year My account is over 1 year old Website Expert Programmer Programming no longer gives me any trouble. Come to me for help, if you like! Programming Strength 5 months ago Yes, this is what i was referring to. Also, that was plain English. Looks like you have a long way to go in learning English just like i have a long way to go in learning Japanese A47A47 Edited 5 months ago Hi, IAmRalsei. Thank you for play my game. I'm Japanease and I can't read colloquial style English. Please write again in plain English. IAmRalsei Forum Leader Hidden Achievements First Year My account is over 1 year old Website Expert Programmer Programming no longer gives me any trouble. Come to me for help, if you like! Programming Strength 5 months ago I'm disappointed in the lack of tetramino storage and the lack of Speeding up the fall of a tetramino by holding down I believe both of these features were in both Tetris games for the 3DS. this probably looks better on the high compat site lol A47A47 Edited 5 months ago This is Arika Rotation System http://kland.smilebasicsource.com/i/qrdfs.png This is 7*Ris Rotation System http://kland.smilebasicsource.com/i/jgfvz.png I piece's rotation is different. A47A47 5 months ago Thank you for playing my game. 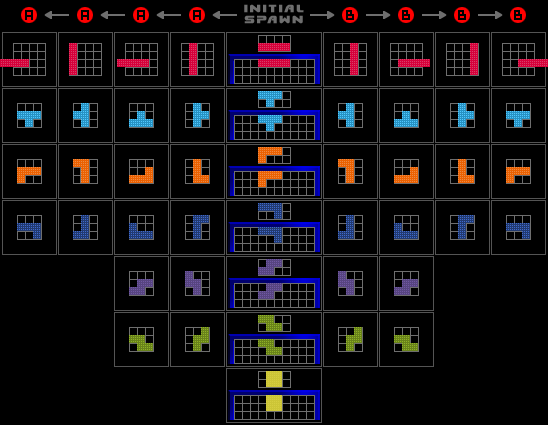 Actually I refer to Tetris TGM, but 7*Ris is different from TGM a little; especially crimson-colored I piece's rotation. TheV360 Pokemon Is Awesome! I love Pokemon! Express Yourself First Day Joined on the very first day of SmileBASIC Source Website Night Person I like the quiet night and sleep late. 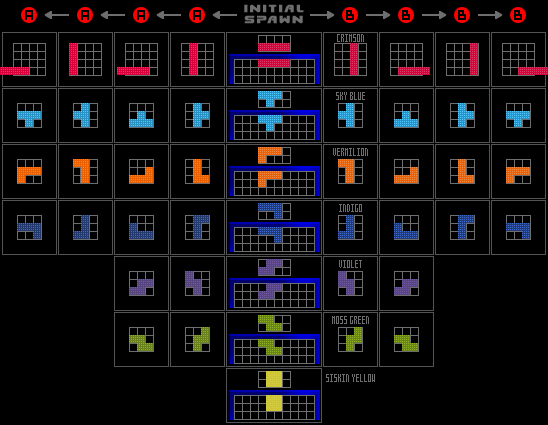 Express Yourself 5 months ago Extremely good Tetris clone. Reminds me of Tetris: The GrandMaster, in that it's so polished and difficult. This is definitely a hidden gem.